Take a look around on the streets and there is no doubting the popularity of all-wheel drive ‘crossover’ style vehicles. Nonetheless, while they perform strongly in the sales race the same can’t be said for the dynamic talents shown by the current crop of affordable class contenders. That’s where Avalanche sets itself apart. 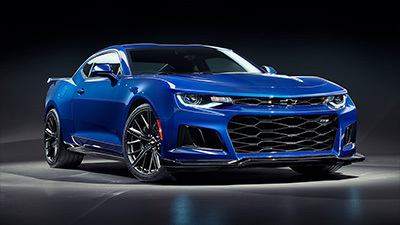 It packs a full arsenal of HSV trademark features – exhilarating V8 engine performance, a powerful braking system, crisp chassis dynamics, aggressive styling and desirable luxury appointments. These are combined with the sophisticated new Cross Trac allwheel drive system to create an extraordinarily capable performance wagon that is in its element whether on road or off. The Avalanche program represents a significant $4.5million investment by HSV. While HSV’s engineering team performed the development work, much of it was conducted in parallel with its Holden counterpart. That included plenty of Outback testing, such as a three-week trip to Kununurra (at the top end of Western Australia) as far back as March 2003. The Australian Outback offers some of the most demanding conditions in the world so it was deemed the ideal environment in which to perfect HSV’s new allwheel drive. In short, if it’s at home here it will be at home anywhere. As a result, the engine cooling system and interior climate control system have been developed under combination of HSV’s unique powertrain calibration with the Cross Trac system. These conditions also proved the durability and performance of the all-new S-03 tyre developed with Bridgestone especially for this vehicle. Throughout the development program HSV engineers used six ‘mules’ to cover literally tens of thousands of kilometres – taking in a mixture of on and off road conditions – to ensure that Avalanche would exceed the toughest requirements of its owners. Despite the fact that they share the superb Cross Trac all-wheel drive platform, the Avalanche is a very different animal to its Holden relative. In typical HSV style a key difference can be found under the bonnet. 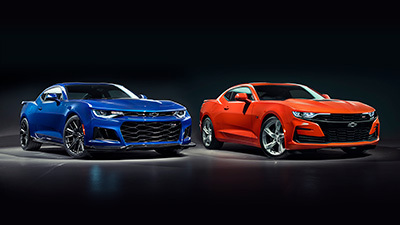 In this case there is the powerful punch of HSV’s enhanced LS1 powerplant coupled to a 4L60E automatic transmission. The pair have been specifically calibrated to team seamlessly and ensure silky-smooth shift quality. Constraints in fitting HSV’s traditional exhaust system, due to the all-wheel drive equipment, result in the engine’s maximum power peaking at 270kW @ 5700rpm and torque at 475Nm @ 4000rpm. Any self-respecting performance sedan would be proud to boast such outputs so, given Avalanche’s role, they are truly outstanding. As are the performance figures which see Avalanche clock a 0 –100kph time of just 6.4 seconds and dispatch standing 400metres in under 14.5 seconds (indeed, it makes little difference to the times whether it’s on dirt or road!). Not surprisingly, HSV’s newest model has rocketed to the top of the performance class for affordable allwheel drive wagons. And, even when the whole segment is included, it’s only just pipped by Porsche’s Cayenne Turbo, a vehicle that retails for $203,000! A major shortcoming for many allwheel drive vehicles – particularly the high riding variety – is a relative lack of braking ability which is a distinct concern when such a high proportion are used as everyday family transport. Avalanche is different – it boasts an HSV Performance Brake System specially tailored to all-wheel drive application. Comprising grooved 336mm front and 315mm rear rotors it’s a match for the sparkling engine performance and inspires confidence no matter what the conditions. Top-flight chassis dynamics are expected from HSV but when every HSV engineer you meet raves about driving Avalanche you know it’s going to be something special. In a class where conventional all-wheel drive vehicles are often found wanting, Avalanche excels. The torque split of 38% front and 62% rear was selected to give the vehicle a characteristic HSV rear wheel drive feel to its dynamics. During the suspension tuning phase overall chassis performance was benchmarked against that of the leading imported all-road vehicles. 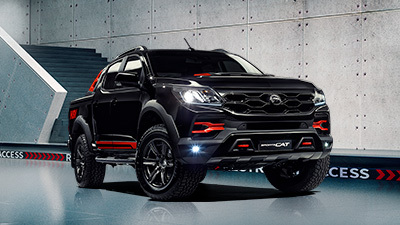 In unison with HSV’s unique dampers, Avalanche is also fitted with a unique 28mm front antiroll bar (up from 27mm) and a 16mm rear anti-roll bar (up from 13mm) which have the combined effect of minimising body roll and producing a flatter cornering attitude. From the driver’s seat the overwhelming impression is of a vehicle that is immensely surefooted and stable, particularly when carving through high speed bends. The longer wheel travel offered by Avalanche’s suspension (compared with other HSV models) gave HSV chassis engineers even greater scope to tune out undesirable characteristics, such as impact harshness, and tune in luxury-style feel. The result is an allwheel drive wagon with a uniquely sporty nature, and one which is also able to offer an amazingly supple ride quality. Amazing, too, is the performance of the Bridgestone S-03 tyres which are specific to Avalanche. HSV engineers found that they not only form an integral part of the on-road handling package, they also offer very impressive grip in most offroad conditions. A strong visual appearance is a must for any HSV and there certainly won’t be any mistaking an Avalanche as part of the family. It definitely looks the part with a chunky and aggressive integrated overall styling package featuring shades of Y Series and a series of refined premium highlights. Tough looking wheel arch extensions, along with exterior mirrors, are finished in body colour to enhance the classy appearance. Also finished in body colour, the remaining body package components (front and rear facias and side skirts) are suitably striking and sport distinctive blacked out and black chrome highlight sections. Newly designed 18 inch alloy wheels add to the effect, as do standard roof rails and roof tie-down points which also contribute to Avalanche’s already impressive load lugging versatility. For a vehicle with such capable allroad abilities Avalanche does an excellent impression of a premium luxury car. The Y Series 2 based interior has an inviting Senator-like feel to it and includes all the usual unique HSV highlights such as instruments, steering wheel, alloy pedals, and a dash mounted sports instrument binnacle. 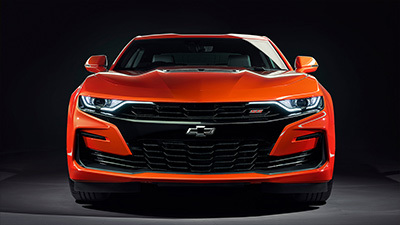 Plush leather trim – available in a choice of Anthracite, Red Hot and Ochre – covers much of the cabin including the eight-way electrically adjustable HSV Sports Seats (driver with memory), as per Coupe LE. A standard HSV glass panel, tilt and slide, sunroof adds to the premium ambiance. Taking to the furthest Outback trails won’t be a burden to passenger comfort. 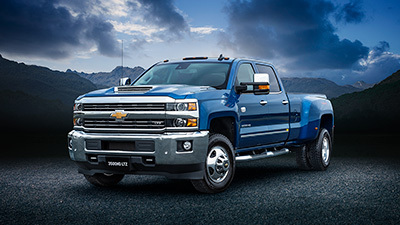 It’s taken care of with standard dual zone climate control air conditioning and a high output Blaupunkt audio system with in-dash six-disc CD changer and 10 speakers including an enormous sub woofer in the cargo area. A full complement of front and side airbags are standard, as are whiplash reducing Active Head Restraints. The cargo area can be accessed either by opening the tailgate or, for added convenience, via the separately opening tailgate glass. A handy full-width roller blind keeps the contents of the cargo area hidden from prying eyes. With a car full of kids the other option that may be worth considering is the fully integrated HSV DVD system. With its six-disc DVD changer linked to a roof mounted large format screen, infrared headphones and remote control, there is the potential for hours of non-stop entertainment. Other desirable options include new High Intensity Discharge (Xenon) driving lights, and an integrated HSV Tyre Pressure Monitoring (TPM) system (allowing the driver to dynamically monitor tyre pressure and temperature and to receive a warning should pressures drop). Avalanche is another landmark vehicle for HSV. By combining HSV’s proven performance vehicle characteristics with the sophistication of the Cross Trac allwheel drive platform it has redefined the class benchmark. This is a family sized wagon that offers a level of off-road talent that two-wheel drive vehicles can’t contemplate yet with a level of on-road flair that puts it squarely in the performance vehicle big league. And it does it while cocooning its occupants in a luxury environment. In essence, HSV’s new Avalanche offers an across the board package that means that most competitors won’t see it for dust. Throw price into the equation and it’s definitely no contest. Buyers in the all-wheel drive crossover vehicle market will be swept away! The Cross Trac all-wheel drive platform is the first such system to be designed, calibrated and manufactured in Australia especially to suit our unique local conditions. 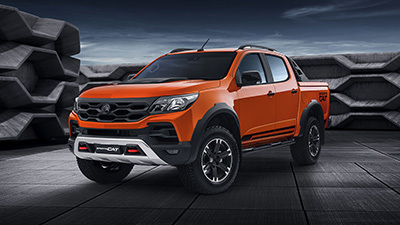 Apart from minor software changes, Avalanche’s Cross Trac system shares major specifications and performance parameters with its Holden cousin. Front track is 50mm wider and the rear 60mm, ground clearance is 200mm at the catalytic converters and the torque split sees 38% directed to the front and 62% to rear. Each of the three differentials (front, rear and the epicyclic centre) is ‘open’ – rather than HSV’s traditional limited slip type – which allows engine torque free reign to travel to each axle and wheel. In normal driving torque is split as previously mentioned, however the instant that one or more wheels start to slip, Cross Trac’s clever software comes in play. It boasts 1761 calibration variables that control the Automatic Brake Differential (ABD) and Electronic Brake Force Distribution (EBD) systems which work continuously behind the scenes to maximise traction across all four wheels without any input from the driver. In fact, in most circumstances the driver won’t even be aware that the system is in operation. Basically, when ABD detects excessive wheel spin at any wheel it applies the brake at that wheel which has the affect of redirecting drive to the remaining wheels with greater traction. The ultimate aim is to apply differing amounts of brake pressure to keep all four wheels at their respective limits of adhesion. In effect, it does for maximum traction what ABS does for maximum braking. Under extreme conditions the Cross Trac system has the ability to brake three wheels and direct drive to just the one that has grip. EBD works in conjunction with ABS to distribute brake torque between front and rear axles which not only ensures maximum brake system efficiency but also helps maintain vehicle stability under all load conditions and on all surfaces. Distributing brake torque across the axles also assists braking control when cornering. A crucial factor in the impressive performance of Cross Trac is that it has been specifically calibrated to cope with, so called, deformable road surfaces, such as sand, gravel and loose dirt. These surfaces are the main ones found locally, but not in places like Europe, so calibrating for them is not a prime consideration on many imported systems. When you consider that around 65% of Australian roads are unmade it’s a tremendous ally to have on your side.